This piece was written by Gerrianne Smits at the Doctors of the Netherlands, one of the members of the IDC, and one of the co-authors of the report. 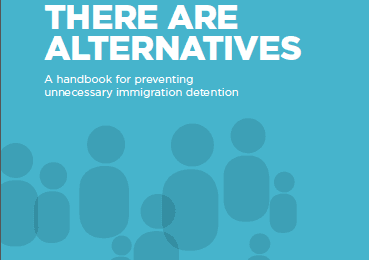 The IDC was delighted to support the launch of this report in April 2016 and shared key findings of There Are Alternatives to promote community-based alternatives to detention to the Dutch audience, including government officials. A new report by Doctors of the World, Amnesty International Netherlands and the LOS Foundation . On 25thApril 2016, Doctors of the World, Amnesty International Netherlands and the LOS Foundation launched their new report “To confine or to protect? 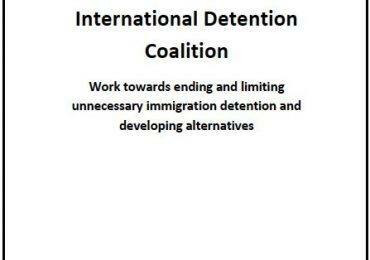 Vulnerable people in immigration detention”. The report urges the Dutch government to take more proactive actions to prevent immigration detention of vulnerable people in The Netherlands. New legislation on immigration detention is currently being discussed in the Dutch parliament. This legislation pays special attention towards vulnerable people with irregular immigration status and asylum-seekers, stating that, in some cases, vulnerable people should not be detained. However, the organizations who authored the report believe that there is little guarantee that this legislation will have a positive effect. The main reason is that there are currently no mechanisms available to determine if someone classifies as ‘vulnerable’. Furthermore, in the Netherlands there are no alternative arrangements that can take care of vulnerable people other than detention. Therefore, the report recommends that the authorities must make use of an obligatory professionally executed screening mechanism before any detention takes place. The report further recommends that based on the results of such a screening tool, a decision should be made whether someone could be detained or not. Regular checks on vulnerability during detention should also be developed, since vulnerability can be triggered or worsened by incarceration itself. Research shows that detention can damage the mental health and well-being of people. Even if a person is healthy prior to detention, the person can develop health complaints by the nature and duration of the detention itself. Vulnerable people are, more than others, at risk of health damage. An African man, Mr. C, aged 47, is placed in immigration detention in 2014. He suffers from diabetes and high blood pressure. During his detention, his diabetes proves difficult to control and his blood pressure is often too high. He has a lot of complaints, which he attributes to stress. According to the prison doctor it seems likely that the disorder of diabetes is associated with the reduced mobility and a different diet in detention. The Medical Advisor of the Imprisonments Department nonetheless declares him suitable for detention. The doctor who analysed C.’s medical records after his release, notes that regarding his health, the autonomy of C. during his detention was seriously undermined. For example, he was not allowed to regulate his insulin on his own, while he has injected himself for ten years. The lack of self control within both his medicines and his diet, deprived C. against his own health interests. Currently, the Dutch government claims that it is strictly applying the so called ‘ultimum remedium principle’, meaning that detention is only used as a last resort. Doctors of the World, Amnesty and the LOS Foundation are however, not convinced by this claim. Regularly they receive reports of people in detention who are clearly vulnerable and should not have been detained at all. With this report they urge for changes in the new legislation that ensures that vulnerable people will always receive the protection they deserve instead of being detained.